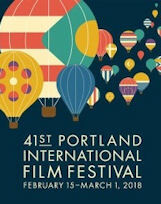 Each February, Portland, Oregon, sparkles up with PIFF, the Portland International Film Festival. This year’s opening night gala – abounding with Pinot Noir, grilled vegetables, quinoa and baklava – was a maximum capacity event. The movie of the night was “The Death of Stalin” from Armando Iannucci, which will be released nationwide on March 9. Afterwards, viewers were served wine with gourmet appetizers and dessert amidst a giant LAIKA warrior skeleton in the lobby of the Portland Art Museum. Bill Foster, PIFF manager and Northwest Film Center Director, introduced his rather risky choice of opening film with an acknowledgment to guests and sponsors. Banned in Russia and irreverently satirical of Russia’s painful history, “The Death of Stalin” makes fun of the political maneuverings during the transition between the death of Stalin and the rise of Khrushchev. Some loved the humor and others were left a bit flat. 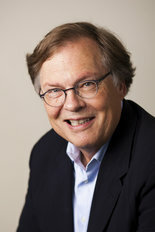 But whether they appreciated the content or not, viewers recognized a standard trademark of Foster’s choice. It provoked reflection and conversation. PIFF film choices are famous for being challenging and insightful. The entire two-week event is also appreciated for being well-organized with plenty of friendly, helpful volunteers. An eighth section, called “Ways of Seeing,” deals with subjects such as paradoxes, the cyclical history of violence, kinds of love, organized struggle, pre-conceptions and liberation. The last section of films is composed of shorts, an increasingly popular form of condensed expression. They, in turn, are also divided into sections and include three Charlie Chaplin classics. The Portland International Film Festival sponsors include LAIKA, The James F. and Marion L. Miller Foundation, The Henry Lea Hillman Jr. Foundation, Willamette Week, Pat and Trudy Ritz and the Regal Entertainment Group. Tickets can be purchased at nwfilm.org/piff41. The festival runs from Feb. 15 through March 1. I need to get to this festival some day.